Cambridge School Volunteers (CSV) recently celebrated its commitment to the four new Upper Schools (grades 6-8), as well as the Amigos School, at a special event, CSV NOW! Upper School Challenge, on March 14th at Genzyme, a Sanofi Company, in Cambridge. This year, CSV is working to build strong Learning Center programs and NetPals mentor programs at the new schools. 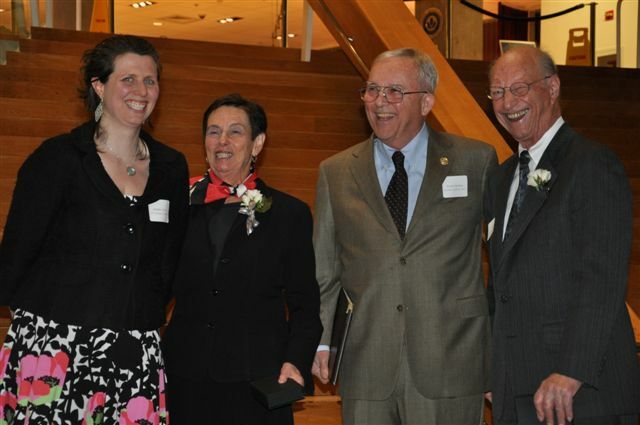 The event honored two remarkable city residents who exemplify long-term civic engagement: Alice and Bob Wolf. Former State Rep. Alice Wolf served eight terms representing the 25th Middlesex District, as well as serving as Mayor, School Committee member, and City Councilor for the city of Cambridge. She was involved with CSV in the late ‘60’s and has continued to support its work for more than 45 years. Since his retirement from Polaroid, Bob has participated as a volunteer with CSV, most recently tutoring math students at the Graham & Parks School. He is now in his 17th year of service to the public school students of Cambridge. 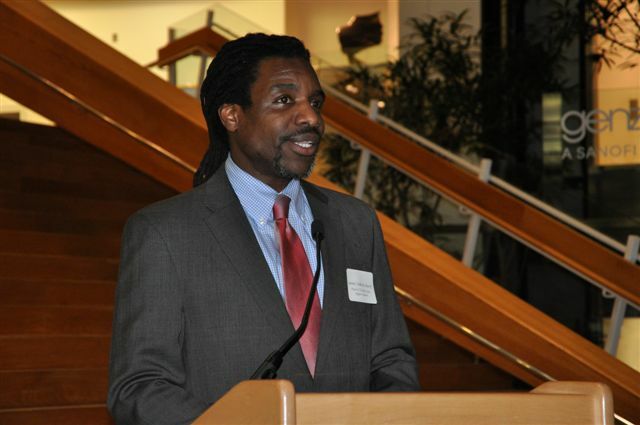 The program also included a silent auction and several other speakers: Autumn Harrison (CRLS sophomore); former Mayor Frank Duehay; CPSD Superintendent Jeffrey Young; and Head of Vassal Lane Upper School, Jamel Adkins-Sharif. The CRLS Jazz Ensemble provided music. Monies raised will allow CSV to continue to support the expansion of Upper School programs, specifically Learning Centers and NetPals. CSV’s long-range goal is for every 7th grader to have a science mentor as part of the 7th grade science curriculum. 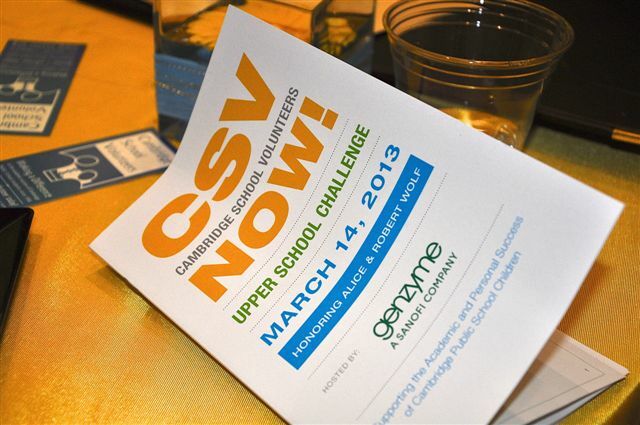 Genzyme was the presenting sponsor of CSV Now! 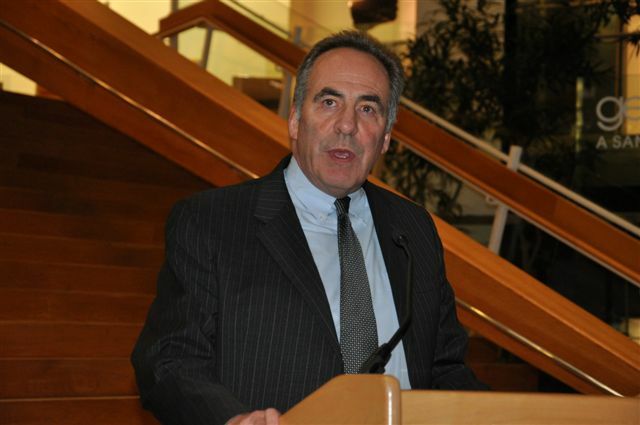 Others included: Patron Sponsors – Fresh Pond Mall and Harvard University; Supporting Sponsors – BioMed Realty, Cambridge Systematics, Draper Lab, Lesley University, MIT, and NSTAR; and Friend Sponsors – Alexandria Real Estate, Bryn Mawr Books, Cambridge Trust Company, the Cambridgeside Galleria, Citizens Bank, David Kluft, East Cambridge Savings Bank, the Hong Kong Restaurant, Radius Capital Management, and Veritas Tutors. Since 1966, CSV has engaged almost 26,000 volunteers who have participated in a variety of K-12 programs, and logged more than 1.5 million hours of volunteer time during its 47-year history. It is estimated that close to 70 percent of all public school students have been impacted by a CSV volunteer.